Have you been harmed by dangerous side effects from taking the diabetes drug Invokana? You may be able to seek compensation from the drug’s manufacturers Janssen Pharmaceuticals and the Johnson & Johnson Company. If you or someone you know suffered medical complications after taking Invokana, call The Lambert Firm at 800-521-1750 without delay to schedule a free, confidential consultation with experienced Invokana lawyers. We have extensive experience successfully representing clients in cases involving dangerous prescription drugs. Invokana (canagliflozin) and Invokamet (canagliflozin and metformin) are part of a new class of drug known as sodium-glucose cotransporter-2 (SGLT2) inhibitors. They are intended to help fight high blood sugar in patients with Type 2 diabetes. The drugs were developed by Janssen Pharmaceuticals and approved by the FDA in 2013. Invokana helps those with diabetes by causing the kidneys to filter out high levels of sugar (glucose), which are then eliminated from the body through urination. Unfortunately, there is an increased risk of dangerous conditions and side effects due to taking SGLT2 inhibitor drugs like Invokana. Some of these conditions necessitate emergency medical attention followed by long-term medical treatment. Worldwide, there have been over a hundred cases of diabetic ketoacidosis linked to Invokana. After receiving several reports of patients who developed diabetic ketoacidosis from March 2013 to June 2014, the FDA issued a Safety Warning for Invokana and all SGLT2 inhibitors in May 2015. Diabetic ketoacidosis is an emergency medical condition that occurs when the body cannot break down sugars in the blood due to a lack of insulin. The body then begins to break down fats for energy, releasing toxic substances called ketones into the bloodstream. High levels of ketones can result in diabetic coma or even death. Patients who suffer from diabetic ketoacidosis often develop metabolic acidosis (too much acid in the blood) as well. During clinical trials, 13 patients on Invokana suffered a heart attack or stroke during the first 30 days of treatment, compared to just one in the placebo group. Between March 2013 and October 2014, the FDA received several reports of patients on SGLT2 inhibitors developing life-threatening complications as a result of urinary tract infections. In May 2015, the FDA issued a warning that certain SGLT2 diabetes drugs, such as Invokana, may lead to ketoacidosis. The FDA is continuing to investigate the issue. In September 2015, the FDA issued a drug safety communication to address the risks of bone fracture and decreased bone density for users of Invokana. In December 2015, the FDA issued another safety communication for SGLT2 inhibitors, requiring new warnings to be added about elevated blood acid levels and urinary tract infections. In June 2016, the FDA strengthened warnings about the risk of kidney injuries from Invokana that could result in kidney failure. In May 2017, the FDA concluded that Invokana causes an increased risk of leg and foot amputations. The FDA required the manufacturers to add new warnings, including the most prominent Boxed Warning, to the Invokana labels to describe the risk. In June 2017, a New England Journal of Medicine study found that Invokana doubles the risk of diabetic ketoacidosis compared to diabetes medications in the DPP-4 inhibitor class. 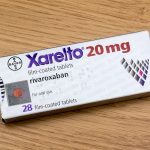 The defective drug injury lawyers at the Lambert Firm are currently investigating claims that Invokana is the cause of many of the emergency medical conditions suffered by its users. There is little doubt that Invokana is a defective and dangerous drug with serious, even fatal, side effects. We believe that Janssen Pharmaceuticals and its parent company, the Johnson & Johnson Company, were negligent in failing to properly test the medication and failing to warn patients of the drugs dangerous side effects. Holding Janssen Pharmaceuticals, the Johnson & Johnson Company and other pharmaceutical companies responsible for the pain and suffering caused by their products can often “convince” them to remove dangerous drugs like Invokana and off the market. If you or a loved has experienced harmful side effects while taking this medication, you may be eligible to file an Invokana lawsuit seeking compensation for the pain, suffering and medical expenses caused by this drug. Don’t put off speaking with our Invokana lawyers – there are statutes of limitation for filing a personal injury case. Please call the Lambert Firm at 800-521-1750 today. We handle Invokana lawsuits on a contingency basis, which means there are no upfront costs for our clients and we only get paid after we’ve won your case.